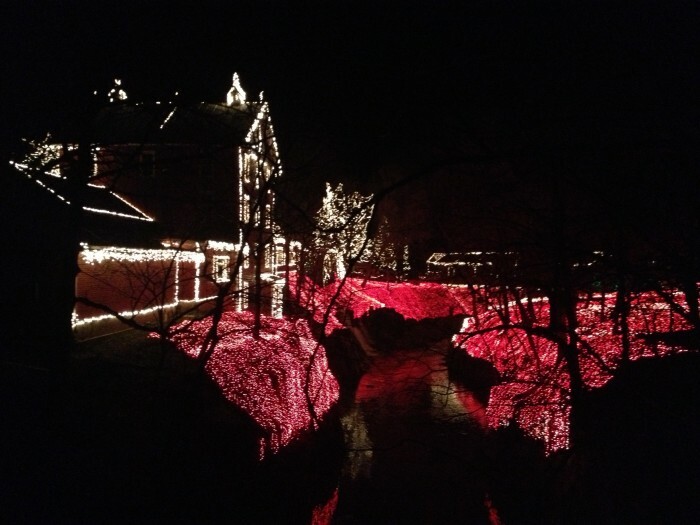 Clifton Mill is a great historic destination if you are looking for something new to try for the holiday season. 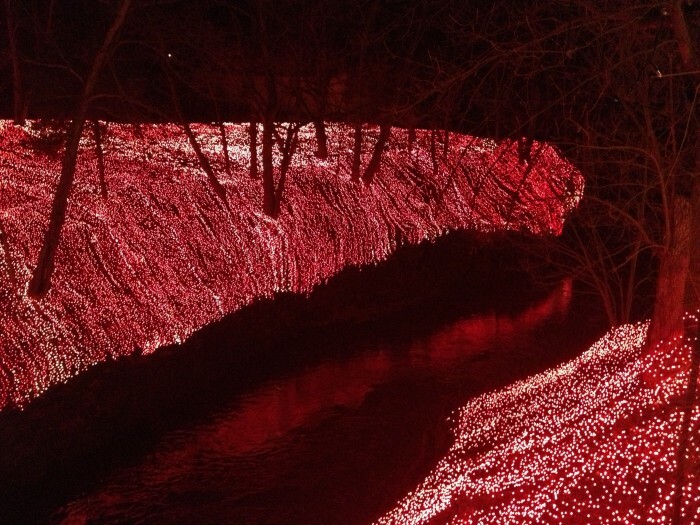 I had first found out about Clifton Mill from a friend’s facebook post that said it was worth the drive, and that was demonstrated by their incredible pictures. We had to find out for ourselves. 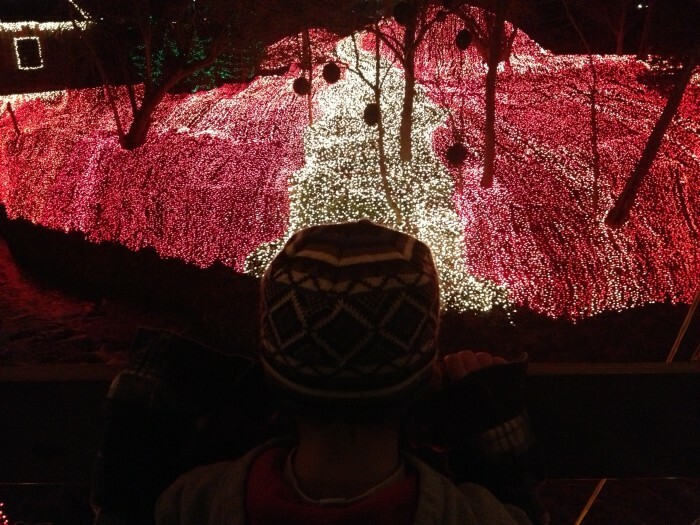 Clifton Mill did not disappoint. 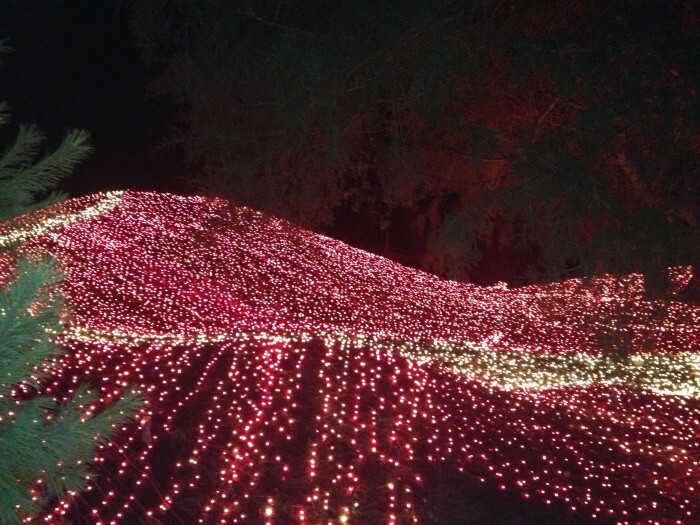 There are a A LOT of lights to take in….over 5 million. 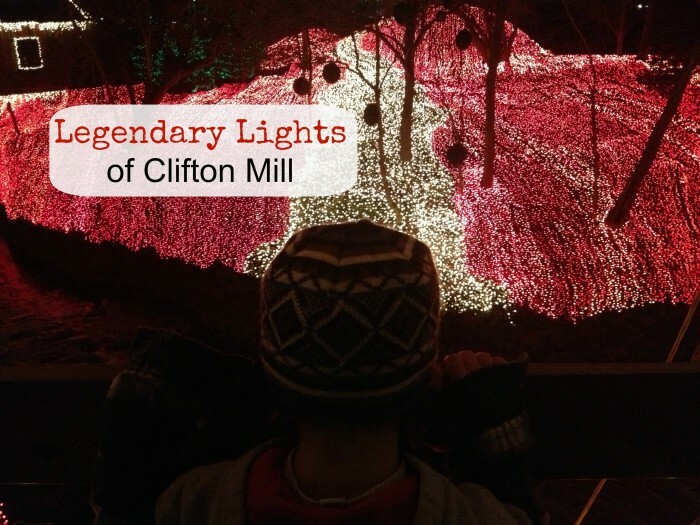 A visit to Clifton Mill is best at a slow pace. 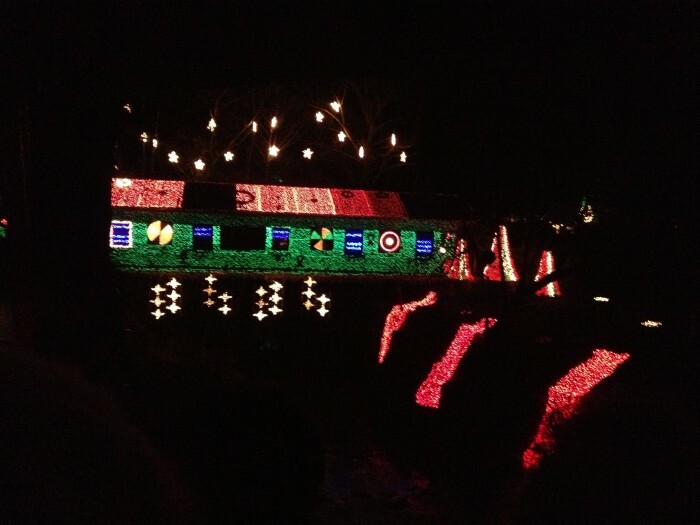 We started by watching the covered bridge light show. 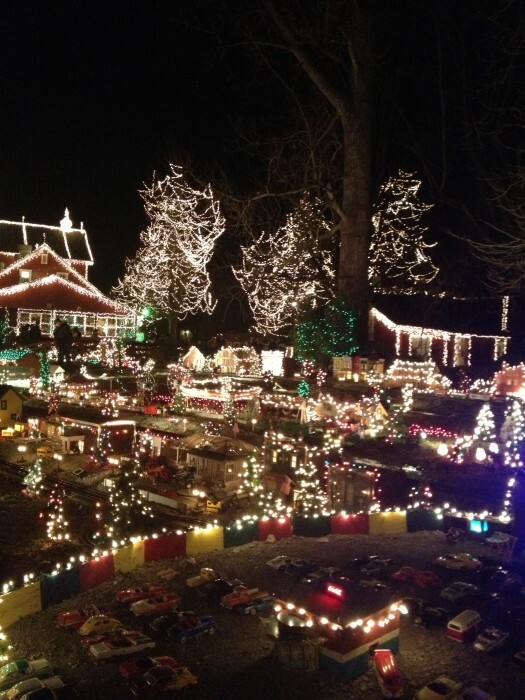 There is a light show set to music every 30 minutes. 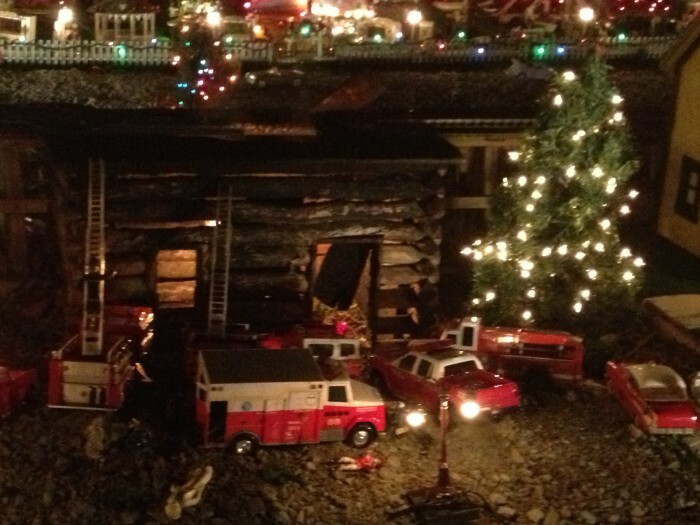 After the light show we took in the miniature town scene. 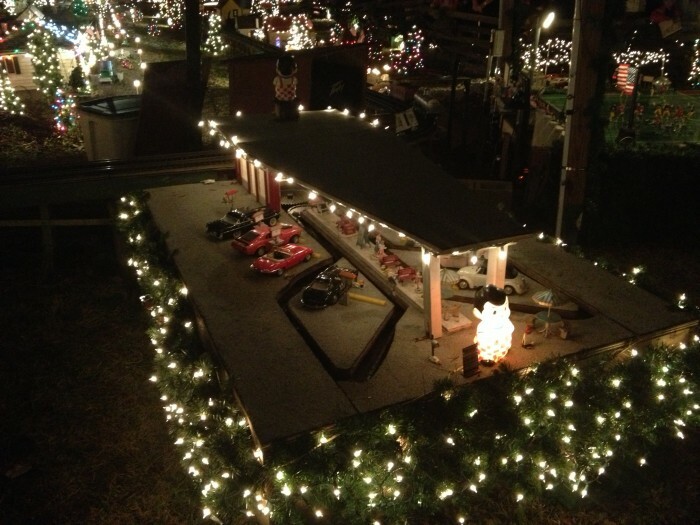 The size may be a smaller scale but the display is HUGE. There are over 100 moving miniatures. You really need stop and take in every detail to really appreciate it. 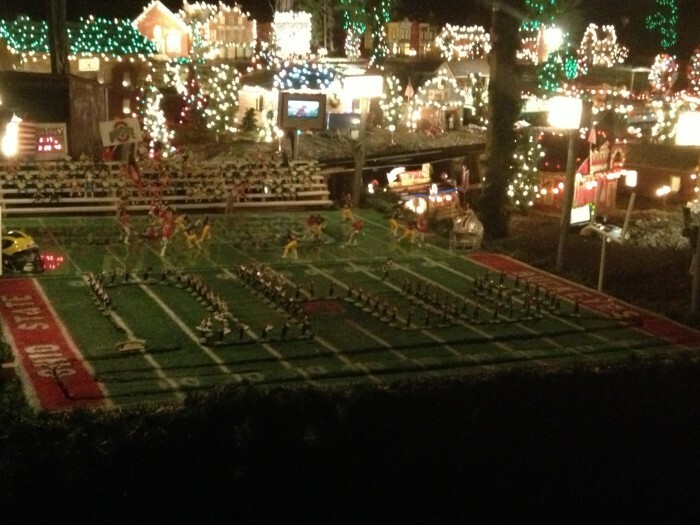 My kids were immediately excited about the Ohio State vs. Michigan football game displayed with moveable players and band members. 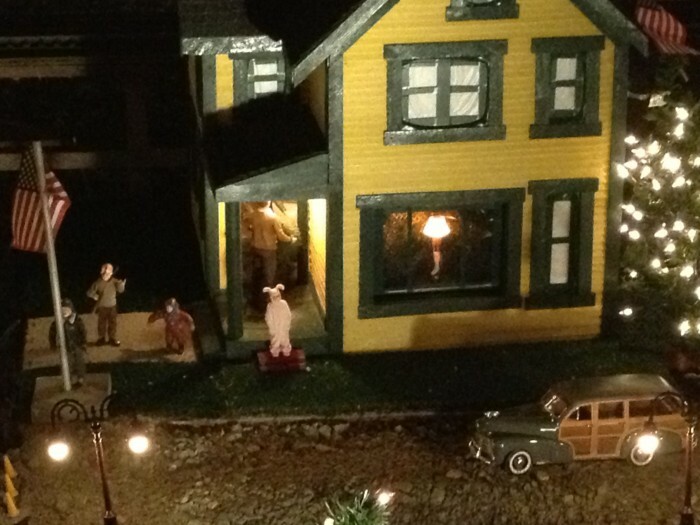 A few of my favorites were the “A Christmas Story ” home display complete with a leg lamp and boy with his tongue stuck to a pole, a house that looked like it was on fire, and the Big Boy drive in. 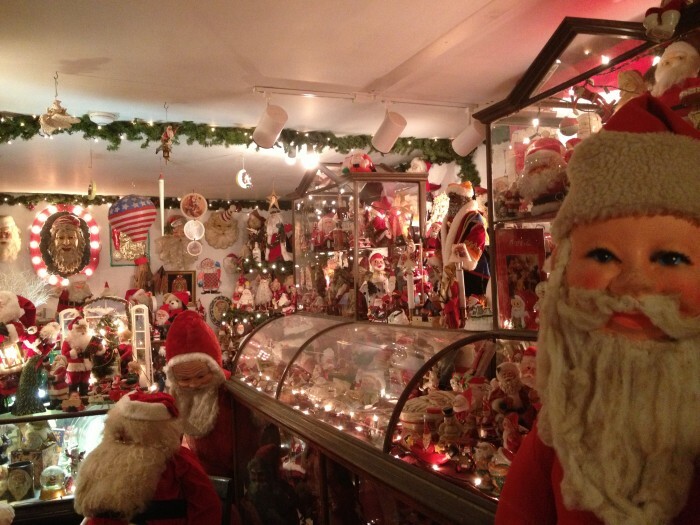 There is also a nativity scene, moving reindeer on the roof with a Santa who pops out of the chimney from his workshop every 20 minutes, a vintage toy and sled display and a separate Santa collection display. The line for the Santa display was good because it made us really look at the variety of unique Santas. 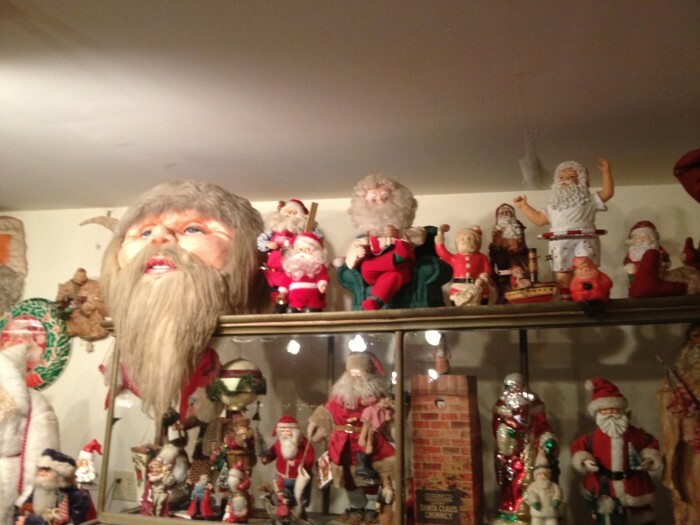 There are more than 47 years of antique Santas displayed that date back as far as 1850 from the Satarianos family. 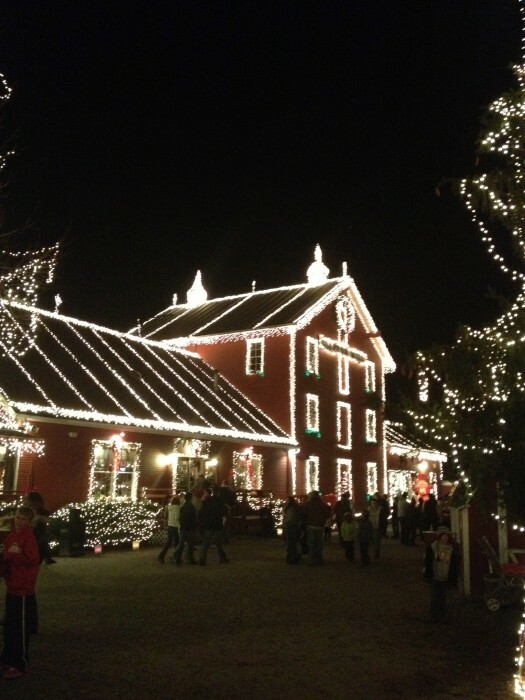 Clifton Mill also has a restaurant and general store where you can purchase gifts. The pancakes at the restaurant are made from grains at the mill. You can also purchase flour products prepared at the mill in the gift shop. 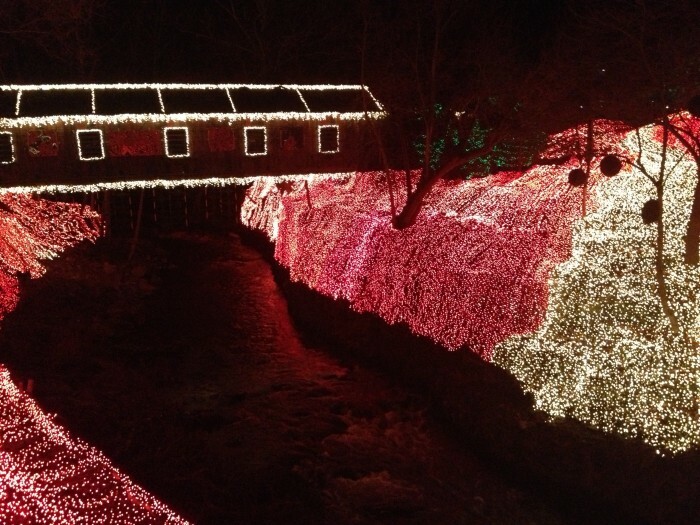 There is also a great view of the covered bridge on the back deck. The Clifton Mill is definitely a unique family friendly experience. 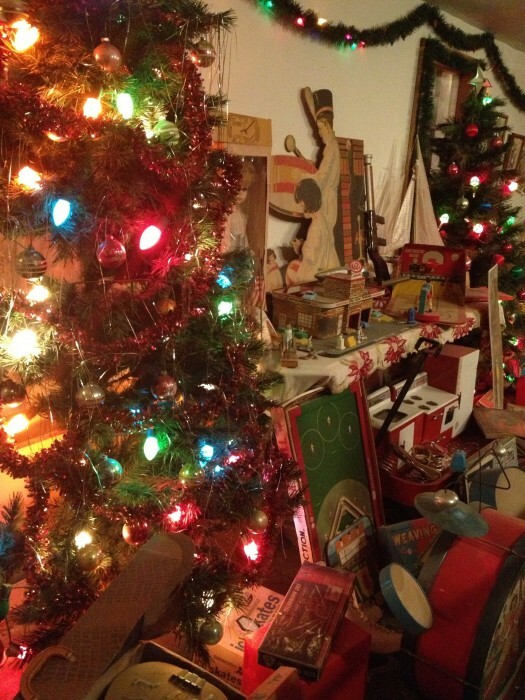 You’ve still got time to fit in a visit to this destination that 30 miles east of Dayton, Ohio. 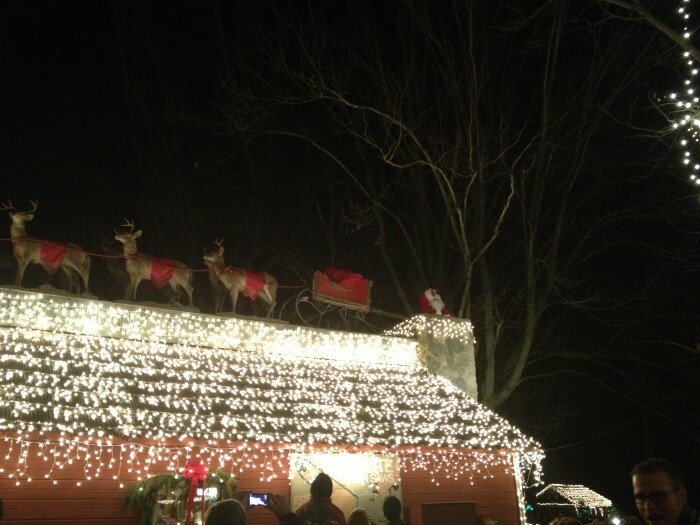 The Christmas light display runs though January 1st. 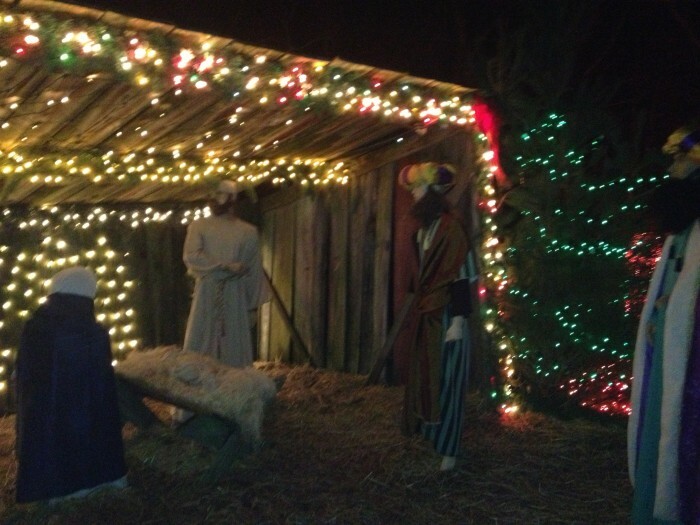 Admission is $10 per person for everyone age 7 and older. Children 6 and under get in FREE! *The price listed was accurate during my visit. Check website for current pricing and admission. Disclosure: I was not compensated for this post. I did receive complimentary admission for review purposes. All opinions are my own.